I’m back in my apartment this week, which means back to my typical breakfast! Two slices of Ezekiel bread with peanut butter and blueberry jelly. 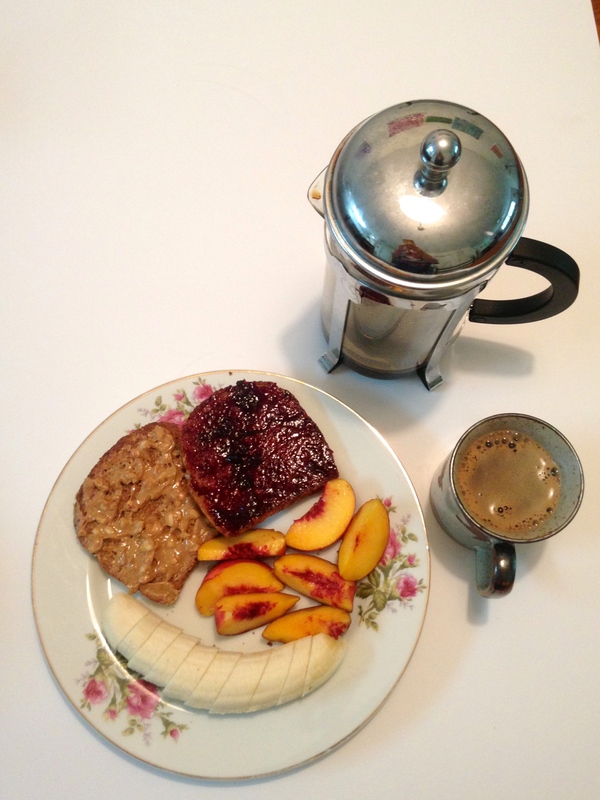 I had along side it two yummy peaches and a banana with some coffee. 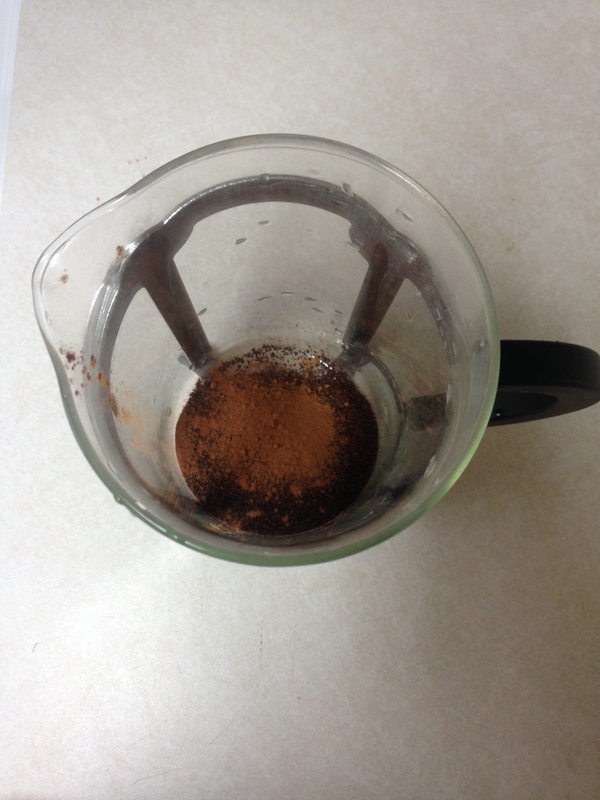 I’ve been sprinkling a little bit of cinnamon into my coffee grounds before brewing it to give it a little extra kick. Also, I think I’m secretly wanting it to hurry up and be fall time.